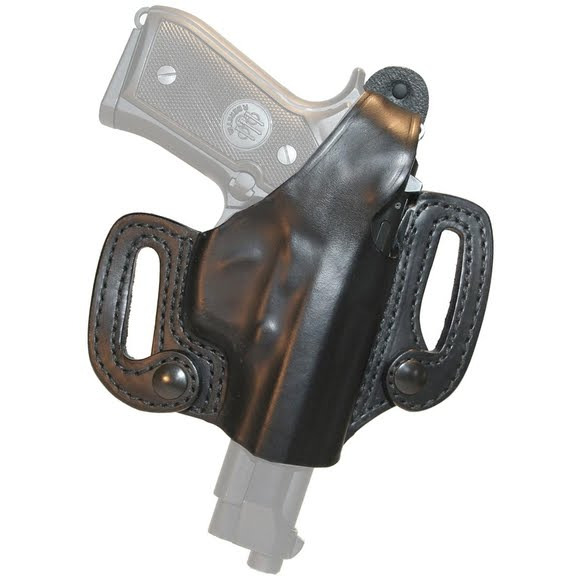 Blackhawk's update to the well-known slide design allows you to attach and detach the holster to your belt in just seconds. The angle-cut belt loops wrap around your belt and are secured with sturdy, high-quality snaps so you never have to undo your belt to configure the holster. Blackhawk&apos;s update to the well-known slide design allows you to attach and detach the holster to your belt in just seconds. The angle-cut belt loops wrap around your belt and are secured with sturdy, high-quality snaps so you never have to undo your belt to configure the holster.